The old adage, "There's power in numbers," fails when it comes to love and the single white rose. If a single pink rose is said to symbolize young love, and a single red rose said to symbolize passionate love, then a single white rose is said to symbolize the love and innocence of a longstanding love. Used as a gesture of strong emotion and devotion, the tradition of sending one single white rose is practiced by lovers, people who share great esteem and love for one another, and others who want to declare a message of love and hope. A symbol of varied meanings, the single white rose has long signified the purity between lovers who exchange the flower or the purity and innocence of the soul or person receiving it. Contrary to the passion associated with a single red rose, a single white rose acknowledges everlasting love, honor and respect, especially when given to a person of authority or esteem or when used as part of a celebration or event. 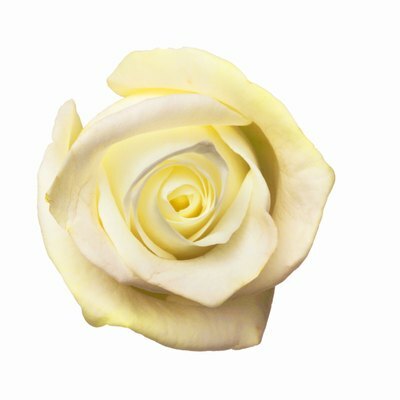 According to SpecialFlowerDelivery.com, a single white rose is fitting for occasions such as weddings, funerals and anniversaries. 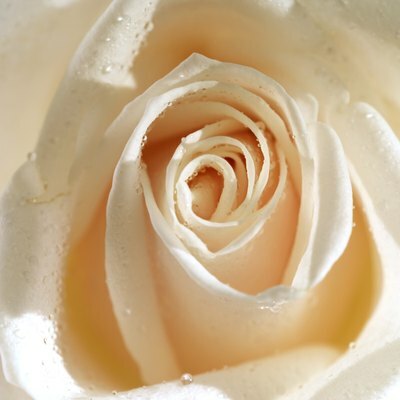 The white rose is said to be "the bridal flower" symbolizing the new and pure bond of two people. The flower became popular when Queen Victoria (United Kingdom) used a white flower bouquet for her wedding in 1840. Part of the "white wedding" tradition, the white rose signifies a bride's worth, innocence and loyalty to her husband. The tradition remains whether the rose is part of a bouquet or standing alone. At the end of a life, a white rose symbolizes the promise of heaven and the purity of all that was innocent about that person's life. Used as a bouquet, spray or as a single, the white rose adorns church pews, is placed at the breast bone of the deceased and given to mourners. 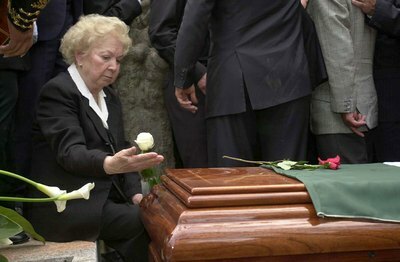 It states condolence, remembrance and hope. A metaphor of hope and new beginnings, the white rose is also given by mourners who cannot attend a funeral service but still want to show respect, sending a dozen white roses as a condolence gift. 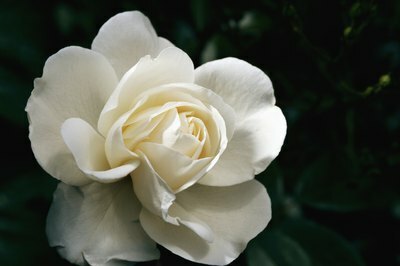 The single white rose is also appropriate for an anniversary, Valentine's day or as an unannounced declaration of love. You can leave a single white rose on someone's doorstep, at her workplace or on his pillow. 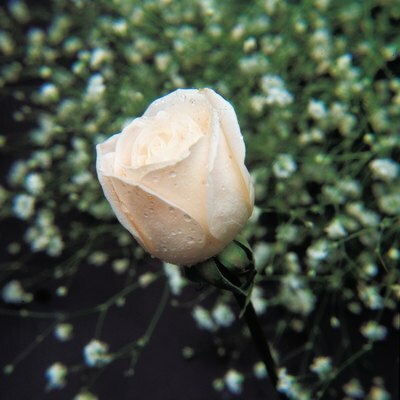 Regardless of the manner in which the single white rose is given, the meaning remains the same: innocence, hope and love. According to TheyDeserveIt.com, talking beneath a white rose in medieval times indicated the confidential nature of the conversation. Also, the Pope declared that a rose should be carved into confessional booths to symbolize confidentiality and privacy in the 16th century. And the Romans planted a white rose bush on the burial sites of young women to symbolize their virginity and purity.